There’s no better place in Wellington to enjoy the warmth and colours of spring than the Wellington Botanic Garden, which hosts the week-long annual Spring Festival to welcome in the new season. PhD student Huyen Ngyen shares her advice on how you and your family can enjoy the warmer weather without venturing out of the city. Just a 10 to 15 minute walk from both the Kelburn and Pipitea campuses, the Wellington Botanic Garden is a great place to escape from a hectic week of study or work. It’s always been a must-see spot in Wellington, and this year it’s celebrating its 150th anniversary. The Wellington Botanic Garden has beautiful flowers all year round, but this time of year is especially stunning, and sees the Garden come to life with the annual Spring Festival. 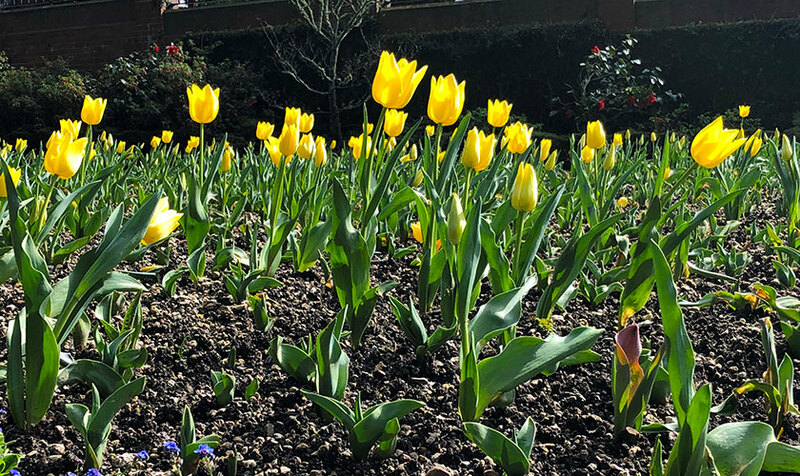 Kicking off on 23 September with Tulip Sunday, don’t miss the chance to celebrate spring and Dutch culture by enjoying thousands of tulips blooming in all different colours across the main garden. Among the flowers you’ll also find entertainment, food, and other festivities to bring in the new season. Make sure you also check out other festival events hosted in the Garden and around the city. Apart from Spring Festival events, the Wellington Botanic Garden is worth a visit any day of the week. Alongside tulips, you’ll see magnolias flowering in various shades of white, cream, pink, and purple. 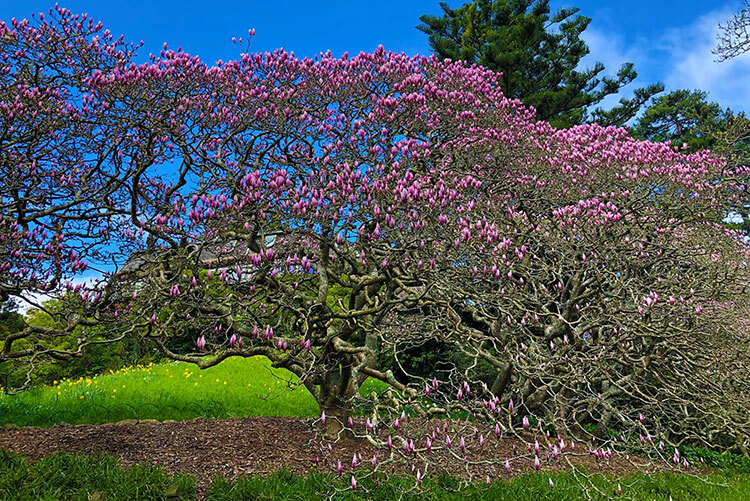 Magnolias start blossoming in late July, reaching their peak in August and ending in September, so make sure you catch them before they disappear. Spend some time enjoying the Lady Norwood Rose Garden. With over 3,000 roses across 110 rose beds, you’ll be immersed in the fragrance and beauty of new and traditional varieties. Located next to the rose garden is the large Begonia House, which displays tropical plants and flowers, and a café, so you can enjoy a coffee or a bite to eat amongst the roses. The Wellington Botanic Garden is a great place to spend time with your family. My daughter loves the duck pond in the main garden, particularly when there are new ducklings. Another of my daughter’s must-see attractions in the children’s play area, located just five minutes from the Treehouse Visitor Centre. You’ll find picnic tables and grassy areas nearby, so it’s a great spot for a family picnic on the weekend. Take some time out and make the most of spring by spending some time enjoying the Garden with your friends and family—download a map and start exploring! Huyen Nguyen is a second-year PhD student of the School of Economics and Finance and lives in Wellington with her six-year-old daughter.